Sunday, November 17, is the first on-line Transgender Day of Remembrance service, open to all who have an interest and an internet connection. It will take place at 9 p.m. EST. Log on to the website at 9 p.m. Nov. 17 to participate. On a mobile device, use this link. 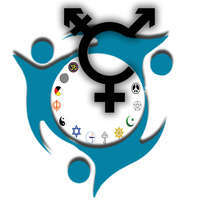 Artist Kokumo of Kokumedia Inc.
Click here for more info about TDOR Unite.